(CNS): As part of its commitment to developing the finest Caymanian legal talent, Walkers has increased the number of legal scholarships that will be offered this year to an additional five talented young Caymanians. 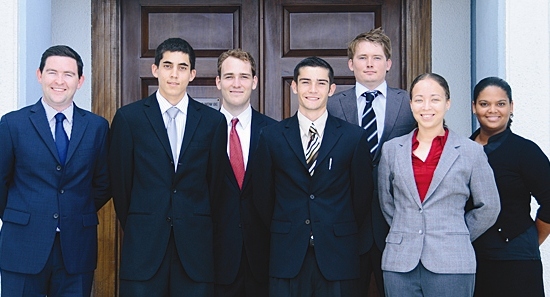 These five individuals have been awarded Merit Scholarships by Walkers to study law, primarily in the UK. They will be sponsored for the entire length of their degree courses, receiving funding for course tuition, return airfares, books, examinations and living expenses, a release from Walkers said. Christopher Dibben, a former student of Saint Ignatius and Coral Springs Christian Academy in Florida, has already completed the first year of his LLB at the University of Exeter in the UK and will be sponsored for the remainder of his degree by Walkers. Kayla Manderson, who majored in Literary Studies at the University College of the Cayman Islands and was formerly of John Gray High School, will be sponsored by Walkers for her law degree at the Cayman Islands Law School. Patrick McConvey, who already has a BA in Geography Economics and Business, as well as his MA with distinction in Culture and Difference from Durham University in the UK, will study the GDL legal conversion course at Nottingham Law School. Michael Testori, who recently completed his A-Levels at Saint Ignatius will be sponsored by Walkers to study law at the University of Kent at Canterbury in the UK, while Yannick Whorms, who has also taken A-Levels at Saint Ignatius, will be sponsored at the UK's University of Exeter. "Our five new scholarship recipients have all demonstrated an exceptionally high standard of academic achievement and a strong desire to succeed in the challenging yet highly rewarding career of law," said Anthony Partridge, senior counsel in Walkers' Trusts Group and a member of the firm's Trainee Committee. 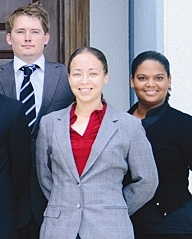 "We are delighted to have them all on board as members of the Scholarship Programme with the ultimate aim that they go on to become Articled Clerks with Walkers and successful Caymanian attorneys." The Walkers scholarship recipients will also receive the benefit of mentoring and support from the firm which distinguishes Walkers' Scholarship Programme from other schemes. Whenever students are on-Island, they are encouraged to visit the firm and use resources such as the law library. Each year, the students will also take part in Walkers' coveted Legal Internship, which gives themthe opportunity to spend the summer working with the firm and to gain exposure and practical life experience in a busy international law firm. Once they have completed their legal studies, the natural next step for Walkers' scholarship recipients is to apply for an Articled Clerkship with the firm. Walkers was the first firm in the Cayman Islands to establish a comprehensive 'Articled Clerk Training Programme' and Walkers' methods have developed and been refined over more than 25 years to benefit Caymanians seeking a career in the legal profession. Each year a number of former scholarship recipients go on to become articled clerks with Walkers and eventually fully fledged attorneys.